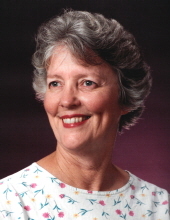 Mrs. Patricia Ann Durham, age 79, of Gilmer, passed away on Saturday, April 13, 2019 at a Tyler hospital. Patricia was born on March 3, 1940 in Dallas to the late Hermon and Abbie Louise Phillips LaRue. She was a retired secretary working for various places in the metro-plex, and was a member of the Gilmer Church of Christ. She was a loving and devoted wife, mother, and “Mee Maw” to her grandchildren and great-grandchildren. She loved traveling, to laugh and have a good time, and visit with friends and family. She loved Gilmer Buckeye Football, and watching the Texas Rangers. She enjoyed telling and listening to good stories. She was preceded in death by her parents; and her loving husband, Mr. Tommie Durham. She is survived by her son, Gerald Durham of Rhonesboro; two daughters, Donna Lane and husband Larry of Gilmer, Kim Bryant and husband Paul of Gilmer; brother, James Byron LaRue and wife Diane of Pittsburg; nine grandchildren James Lane, Katherine Lane Quinn, Sarah Lane Pilukaitis, Amanda Durham, Lara Durham Fults, Nathan Durham, Matthew Bryant, Benjamin Bryant, Abbie Bryant; seventeen great-grandchildren, Jackson Quinn, Cooper Quinn, Hudson Quinn, Charles Quinn, Eleanor Pilukaitis, Elizabeth Bryant, Turner Bryant, Kiara Fults, McKenzie Fults, Jon Michael Paye, Caston Mahoney, Jaci Lynn Walker, Braxton Boswell, Grady Durham, Oaklynn Durham, Mya Aguillon, and Jayden Aguillon. A service to celebrate her life will be held at 2:30 pm on Tuesday, April 16, 2019 at Croley Funeral Home of Gilmer, D.J. Bulls officiating. Interment will follow at Pleasant Grove Memorial Park in Winnsboro. The family will receive friends on Monday, April 15, 2018 from 6:00 to 8:00 pm at the funeral home. To send flowers or a remembrance gift to the family of Patricia Ann Durham, please visit our Tribute Store. "Email Address" would like to share the life celebration of Patricia Ann Durham. Click on the "link" to go to share a favorite memory or leave a condolence message for the family.